This kale and beet salad is not only delicious, it’s beautiful. 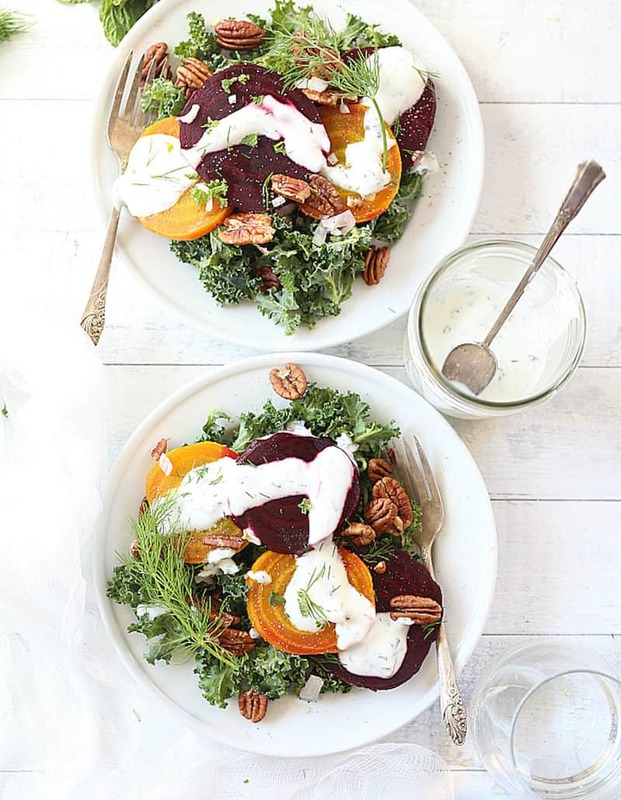 You’re going to love the tasty roasted beets and Greek yogurt dressing! Easy to make for lunch or dinner . 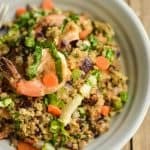 . . because you can never have too many healthy salad recipes. Hi y’all, Danielle here from Delightful Mom Food! 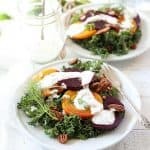 I am thrilled to be guest posting here today because I have a gorgeous kale and beet salad recipe you are going to love! Can’t have too many healthy salad recipes, right? This roasted beet salad is absolutely perfect for spring and summer. Yes – you heard me correctly – you’re going to be roasting beets for this bad boy. 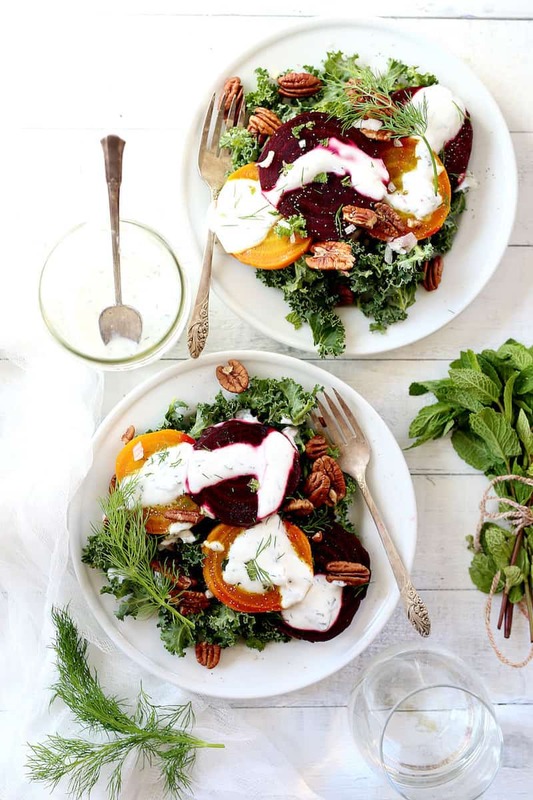 Kale and beets are a spectacular match-made-in-heaven and pair perfectly together in green leafy salads as well as in in vegetarian burgers. I have a good friend who is not the biggest fan of kale, and even he likes this kale and beet salad . . . that’s how good it is. He likes the crispiness and how all the flavors work so well. And honestly, the dressing is pretty dang good. Delicious, really. 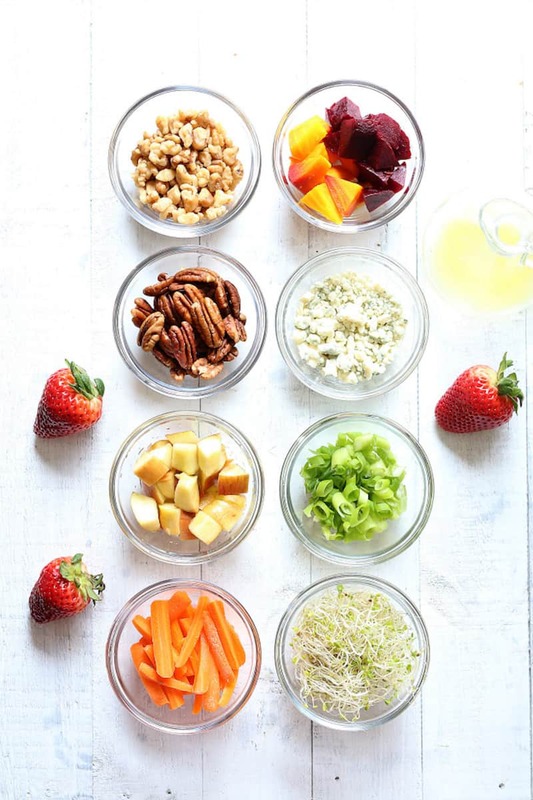 Ever wonder how to make the perfect salad? Before I get to the recipe, I want to give you this simple formula. It can be accomplished effortlessly and I will guide you how to become a pro! Start with fresh ingredients and start with a base such as lettuce leaves. Make sure to wash lettuce right before making the salad and dry on a paper towel or use a salad spinner. For Kale leaves (which are tougher) use curly kale and remove the leaves from the stems then chop them up. Baby Kale is easy to by already washed and bagged and are softer in texture. Consider contrasts in shapes and color to make it appealing to the eye. Think about texture combinations and add nuts, croutons, broccoli, snap peas, carrots and water chestnuts for crunch. 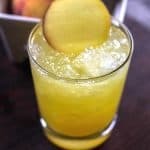 Add soft cheeses for a smooth finish and fresh fruit a soft bite. Think about what flavors pair well together. Combine pears and apples with walnuts, almonds and blue cheese or gorgonzola cheese. Add roasted beets with pecans, walnuts and goat cheese or feta. Lay out a bed of green lettuce or kale leaves. Gather and chop all of the toppings. For apples and pears display them into pretty slices around the salad. Carrots taste best shredded and tossed into the salad, plus they add beautiful bits of color! Color is key to a beautiful salad. If serving a large crowd, make sure to have a variety of salad dressings or yogurt sauce for guests to choose from. Some prefer creamy, some prefer vinaigrettes, and some prefer oil lemon base. To make this kale and beet salad, you’ll need to roast beets. 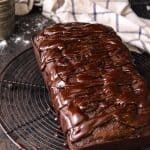 It’s really easy and useful for a variety of recipes. Here’s how to do it. Cut off the green stems of the beets and the long string tip. 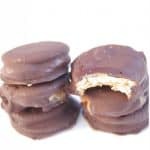 Rinse them to remove excess dirt and wrap in aluminum foil to bake. Make sure the top and sides of the foil are closed. 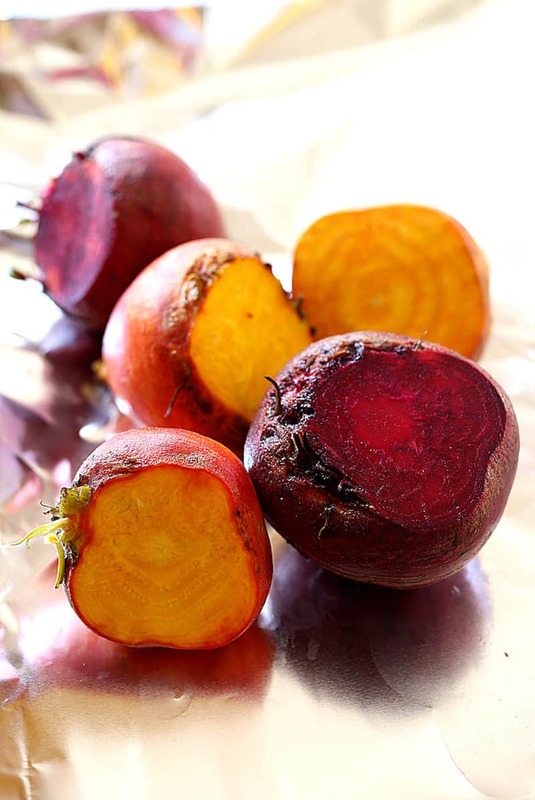 Bake the wrapped beets on a baking pan for 1 hour – 1 ½ hours. Remove from the oven, open the foil and let them cool before you handle them. They should be nice and tender and the skin should peel off easily. Remove the skin with your hands when they are cooled, or use a peeler. 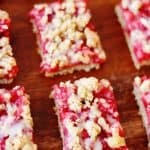 Slice and enjoy as a snack or on your salad! Make the dressing: whisk together Greek yogurt, lemon, salt, pepper, mint and dill. Store in the refrigerator until ready to use. Roast the beets as described above. On two plates, distribute the kale evenly. Top with roasted beet slices, shallots and pecans or walnuts. Drizzle the Greek yogurt herb dressing on top and garnish with any extra mint and dill leaves. 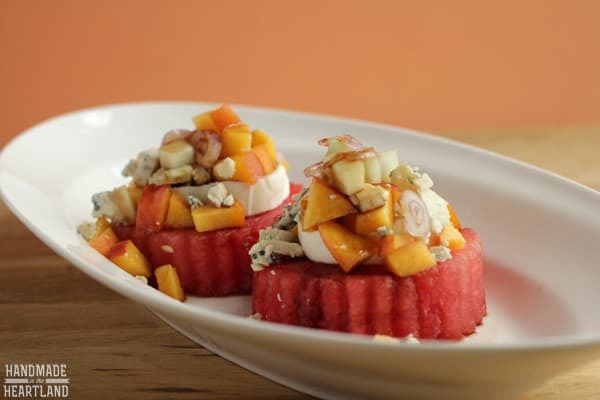 Wondering what other toppings you can try on this roasted beet salad? There are so many things. But may I suggest walnuts, blue cheese or feta cheese, apple slices, bean sprouts, or chives – they’re all good. So don’t be afraid to use what you have in your fridge. This kale and beet salad is not only delicious, it's beautiful. 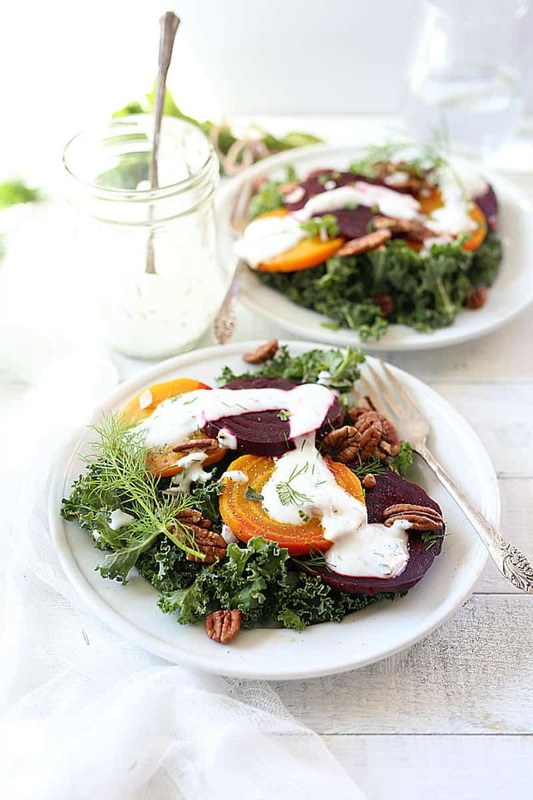 You're going to love the tasty roasted beets and Greek yogurt dressing! Easy to make for lunch or dinner . . . because you can never have too many healthy salad recipes. Whisk together Greek yogurt, lemon, salt, pepper, mint and dill. Store in the refrigerator until ready to use. Bake the wrapped beets on a baking pan for 1 hour – 1 ½ hours. Remove from the oven, open the foil and let them cool before you handle them. Remove the skin with your hands when they are cooled, or use a peeler. Slice. On two plates, distribute the kale evenly. Top with roasted beet slices, shallots and pecans or walnuts. Drizzle the Greek yogurt herb dressing on top, and garnish with any extra mint and dill leaves. Recipe doesn't include beet roasting time so factor that in separately. You can purchase canned beets to skip this step, although we always recommend fresh.